With the two Koreas set to hold high-level talks at the truce village of Panmunjeom on Tuesday, calls are growing for Seoul not to submit gratuitously to Pyongyang’s expected demands for concessions. Analysts have cautioned the pitfalls of North Korea’s peace offensive, proven over the years as guileful, as the regime has often used an olive branch to double-cross or buy time. Experts call for continuing “maximum pressure and engagement” to bring about the communist nation’s denuclearization. North Korea accepted Friday the Ministry of Unification’s offer to hold talks on the North’s possible participation in the PyeongChang Olympics from Feb. 9-25. The two Koreas are expected to hammer out the details, including travel routes, costs and whether the two sides would march together under a unified flag at the game’s opening and closing ceremonies. Through a telephone line at Panmunjeom, which was restored last week after a 23-month hiatus, North Korea said another issue it would like to discuss is the “improvement of inter-Korean ties.” Pundits say Pyongyang’s demands will likely include: halting the annual military exercises between Seoul and Washington; curbing Washington’s regular deployment of strategic assets around the Korean Peninsula; stopping the broadcast of anti-Pyongyang messages from loud speakers along the Demilitarized Zone; and lifting a trade embargo imposed in 2010 after a South Korean Navy ship was torpedoed by the North. 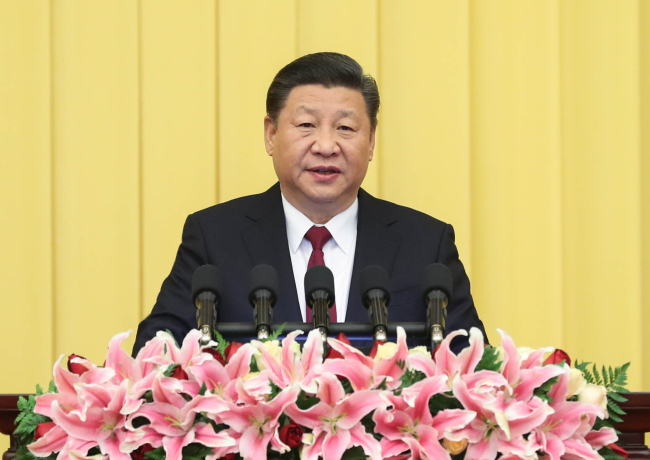 The communist country’s sudden change of mind is a sign of the pain it feels under heaping international pressure and sanctions, according to Choi Kang, vice president of research at the Seoul-based think tank Asan Institute for Policy Studies. 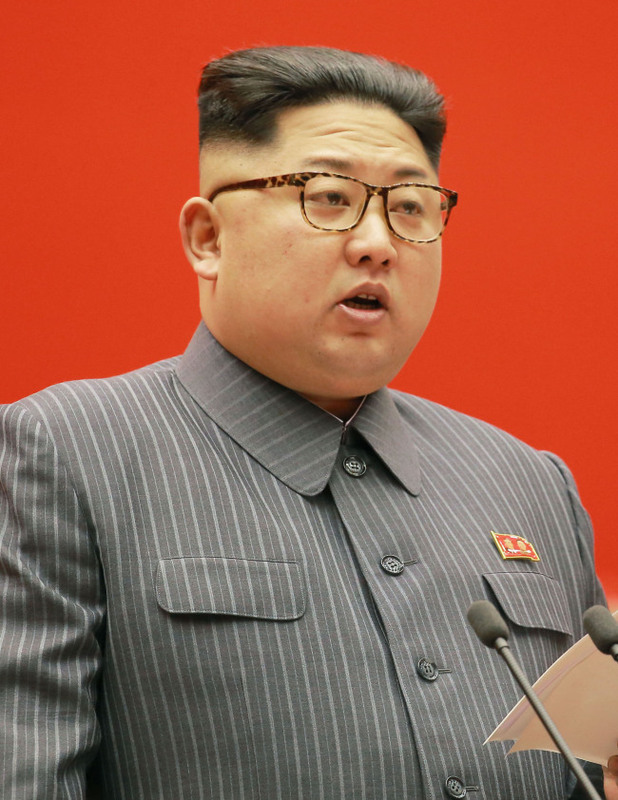 “North Korean leader Kim Jong-un emphasized his economic achievements and promised unfaltering growth, but the multiple mention of the words ‘sanctions,’ ‘pressure’ and ‘isolation’ in his New Year’s speech signal that Pyongyang is feeling the pressure of sanctions and cannot be free from them,” Choi said in a report released Wednesday. Choi cautioned against harboring rosy expectations and warned that Kim Jong-un’s “gift of good words” could be a diplomatic “booby trap” to extract concessions. “Although the government changed from a conservative administration to a progressive one, nothing has changed in the inter-Korean ties,” said the North Korean leader in his speech, aggressively demanding a policy change from the administration of South Korean President Moon Jae-in. Conjecturing that the North is likely to link its participation to broader aforementioned political and military demands, Choi advised the South Korean government to keep its own pace and agenda, as well as to elicit cooperation among related parties on denuclearization and establishing a prospective peace regime. “After getting nowhere with the Americans, North Korea is now trying to launch talks with South Korea first and then use that as a channel to start dialogue with the United States,” explained Yang Moo-jin, a professor at the University of North Korean Studies in Seoul. Experts by and large have emphasized the need to continue putting utmost pressure on Pyongyang as a means of maximizing Seoul’s bargaining leverage, with the Ministry of Unification leading the dialogue. Left-leaning pundits have stressed the need to use the talks as an opening for improving inter-Korean ties for solving the nuclear crisis, while right-leaning experts have underlined the importance of putting up a united international front against North Korea’s nuclear aspirations, including China and Russia. “If North Korea makes demands beyond delaying the annual bilateral military exercises, we should resolutely reject them. We should move forward all our efforts in close consultation and cooperation with the United States based on mutual trust,” said Kim Sook, South Korea’s former permanent representative to the United Nations. Concerns over imprudent engagement with the North have also been voiced in Washington. Seoul and Washington agreed on Thursday to postpone the annual Foal Eagle and Key Resolve joint military exercises until after the Olympics, a move aimed at helping de-escalate tensions with North Korea during the international sporting event. In 2017, Key Resolve took place from March 13-24 and Foal Eagle from March 1-April 30. If the drills are held on the usual timeline, they would coincide with the Paralympic Games, slated from March 9-18. 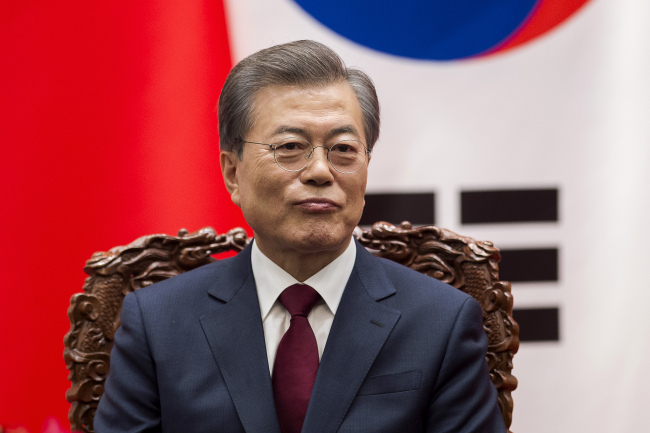 “South Korea will work closely with the US in the process of inter-Korean talks, and we firmly believe that inter-Korean talks are helpful in creating an atmosphere of dialogue between the US and North Korea,” President Moon was quoted as saying by Cheong Wa Dae on Thursday. A high-ranking official from Cheong Wa Dae said that the government will move in lockstep with the international community, particularly the US, in restoring inter-Korean relations and striving to denuclearize North Korea. “Once North Korea’s participation in the Olympics is finalized, I believe there will be further discussions on improving inter-Korean ties,” the official told reporters on condition of anonymity. 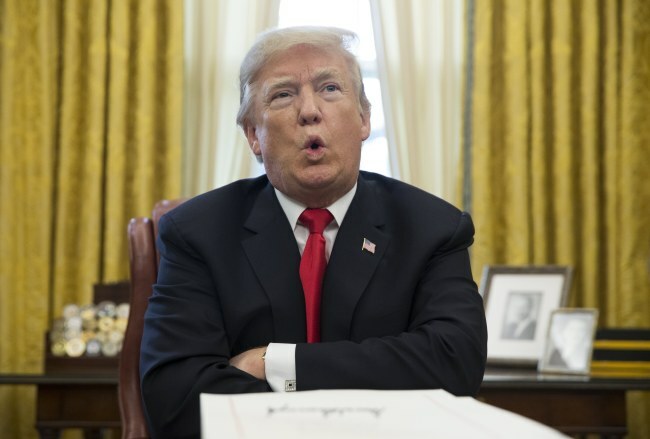 Meanwhile, US President Donald Trump said during a telephone call with his counterpart Moon on Thursday that he supports the thaw in inter-Korean relations and momentum for dialogue “100 percent.” Trump alluded Saturday that he would even be willing to speak directly with Kim Jong-un, expressing hopes the upcoming talks would help defuse the crisis over Pyongyang’s nuclear development. “I always believe in talking,” Trump said at the Camp David presidential retreat, when asked by reporters if he would speak to Kim by phone. “Absolutely I would do that, no problem with that at all,” he added, clarifying that he did not mean without preconditions. Trump expressed his hope that the talks would go beyond the details of Pyongyang’s participation in the games. According to Seoul-based journalist Andrew Salmon, the period of maximum danger resulting from Pyongyang’s future provocations is likely to be after the Winter Games, as the regime moves closer to perfecting its long-range ballistic missile capabilities, including re-entry into Earth’s atmosphere. “With South Korean President Moon Jae-in emphatically saying ‘No’ to any war scenario, the US could opt for offshore strikes rather than utilizing peninsula-deployed troops. Even in this case, a key red light to watch for would be the evacuation of US civilians and military family members from the South,” Salmon wrote in his article “Strategic, market views for Korean Peninsula in 2018” for the Asia Times. Eleanor Albert of the Council on Foreign Relations assesses North Korea’s nuclear stockpile to be between 15 and 60 bombs, while US intelligence believes the number to be higher. The country also has a formidable arsenal of 2,500 to 5,000 metric tons of chemical weapons including sarin, mustard gas and nerve agents, which can be fired from shells, rockets or missiles. Its biological weaponry comprises of anthrax and smallpox agents. The conventional military capabilities of North Korea have expanded steadily, with thousands of artilleries pointed at Seoul which lies in their range. Its cyberattack capabilities have grown by leaps and bounds, demonstrated by recent attacks on South Korean banks, Sony Pictures and other government agencies. On the economic front, 2018 will be a difficult year for North Korea due to the unstoppable marketization inside the country and an ever-expanding set of sanctions, explained Seoul National University professor and economist Kim Byung-yeon. “One American media outlet described 2017 as the year Kim Jong-un triumphed over Donald Trump with unrelenting nuclear and missile tests. But I think otherwise. The one cornered into the wall is Kim Jong-un. 2018 will be a very difficult year for him,” according to the scholar. North Korea has borne the brunt of escalating United Nations Security Council sanctions over the years, which have been imposed over its nuclear and missile tests. The North argues that nuclear weapons are needed to defend itself against US-led aggression and hostile policies. The latest round of sanctions passed in December prohibits the supply of nearly three-quarters of refined oil products to North Korea, puts a cap on crude deliveries and orders all North Korean nationals working abroad to be repatriated by the end of 2019. Sales of all industrial machineries, trucks, iron, steel and other metals to North Korea have also been banned, alongside a range of exports by the destitute country. Gas prices more than doubled last year, and there are reports of severe fuel shortages, according to the New York Times. Over the years, economist Kim explained, the North Korean economy has evolved to become an open economy vulnerable to trade sanctions. The North Koreans of today are different from previous generations, he continued, adding that the development of markets -- vis-a-vis synergies with people’s movements, communications and trade -- has turned them into rational economic decision-makers. The third-generation autocrat vowed to revitalize his country through a dual-track national development strategy known as the “Byungjin line,” pursuing nuclear and economic development simultaneously. To help liquidate Pyongyang’s nuclear ambition, Seoul should continue its pressure campaign by working with the international community and strengthening communications and cooperation with Washington and Tokyo, the economist advised. Kim also suggested applying a long-term strategy aimed at inducing a comprehensive structural change of the North Korean economy and society, which would create the right conditions for denuclearization. John Ikenberry, a professor of politics and international relations at Princeton University’s Woodrow Wilson School of Public and International Affairs, suggested at an academic seminar in Seoul last month that the international community pursue what he calls “strategic persistence”: containing threats, biding time and reducing tensions that could lead to a miscalculation and conflict. “The key is to shift the dynamics, from North Korea versus the United States, to a wider regional response to North Korea. Keep the denuclearization goal alive always. Never give it up,” he said.